Image by twitter user @281_ for anti-state-secrecy-protection bill. Japan’s proposed State Secrecy bill continues to stoke controversy after its passage in the Lower House last week. The proposed law would introduce harsh new punishments for leaking national secrets related to defense, diplomacy, counter-terrorism, and counter-espionage. National security is one of the most important agenda items for the ruling Liberal Democratic Party. The bill, in relation to an already-enacted law that launched Japan's version of the NSC, is considered very important for the party's success. During a key plenary session and even days after its approval, people opposing the bill rallied in front of the Diet (Japan's House of Parliament), shouting “stop the secrecy bill! The evil bill should be discarded!” This is unusual in Japan — although the Japanese constitution affords citizens the right to assemble, most people will not join public rallies. It seems to me that the tactic of simply shouting at the top of their lungs is not much different from an act of terrorism, in essence. Such remarks have evidently done nothing to turn down the volume of protesters. If anything, it seems to be getting louder. On December 5 and 6, angry protesters marched in Hibiya park at a gathering dubbed “drums of fury” [ja]. A coalition of artists, film-makers, editors and publishers opposing the State Secrecy Protection Bill have gathered over 4,400 endorsements for an appeal [ja] against the bill. Their Facebook page [ja], founded on December 1, 2013, has already reached 8,270 Likes. We are calling for people to support our appeal [against the Secrecy Bill]. Anyone engaged in any type of work that involves expressing yourself, regardless of nationality, professional or non-professional work history in expression, is eligible to support our appeal. Patriotic conservative blogger gintoki commented on the issue, suggesting [ja] that people against the bill are predominantly leftists. It is not only the mass media, lawyers, journalists, and people who support them and are coming together and protesting [against the bill] […] This group appears to look like a protest rally of an anti-nuclear power plant, or anti-US base in Okinawa, with multiple banners of unionists and left-looking groups behind them. However, no mass media described them as left-wing groups or unionist groups. Very few reports touch on the fundamental part of the protesting groups. Until recently, acts of protest were considered some what rebellious and often times protesters were labeled as “professional activists”, “commies” or “leftists”. But since the Fukushima nuclear disaster of 2011, more people have started to take action and we have seen many first-time demonstrators. 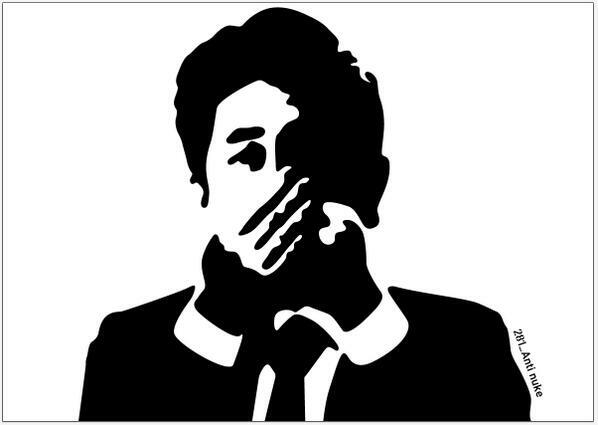 Yet those who oppose the secrecy bill seem to stretch beyond Japan's so-called left. We, doctors and dentists, may have to be obliged to provide the government with private information of patients such as illness history, record of medication, mental health history, family history that we keep from daily consultation, if we are assigned as people who deal with ‘special secret’. Once special secret is designated, we would have to keep the fact that it is enforcement. Such an act would be far from our duty of confidentiality as medical workers, and would assist human rights violation. The Directors’ Guild of Japan [ja], Writers’ Guild of Japan [ja], and Japan Writers’ Guild [ja] also put out a joint statement against the bill. The scope of “specific secrets” is broad and vague, and how exactly “specific secret” will be designated remains unclear. Especially, there is no regulation which forbids specification of the disadvantageous information for the government. The government can permanently designate any information it wants to hide from the public as specific secrets. Any independent third-party bodies will not established that have the power to screen information to determine whether it merits being classified as a specific secret. Even the Diet or courts can not check. The bill includes serious threats to whistle-blowers and even journalists reporting on secrets. Government officials who, in good faith, release confidential information on violations of the law, or wrongdoing by public bodies, should be protected against legal sanctions. Anyone who asks central government employees to offer specific secrets could be subject to punishment on the grounds that they abetted the leakage of secrets. This withers too much the coverage act by all the press containing community media, independent media, and foreign media with the intimidation by punishments. The “aptitude evaluation system” is a privacy infringement not only to public servants and the private citizens that have accepted commissions for government contracts but also to their families, friends, and even their romantic partners. We call upon all members of the House of Councilors to scrap the bill. The House of Councilors is expected to vote on the bill on the afternoon of December 6.